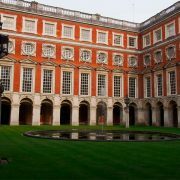 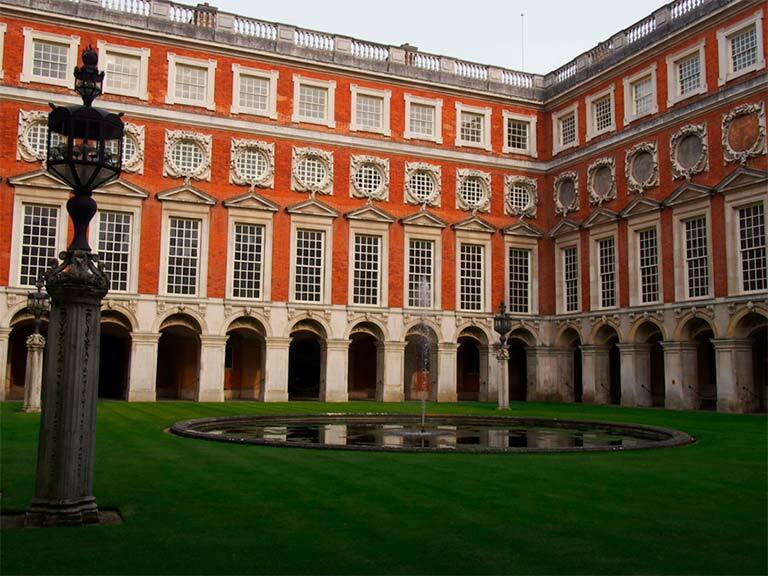 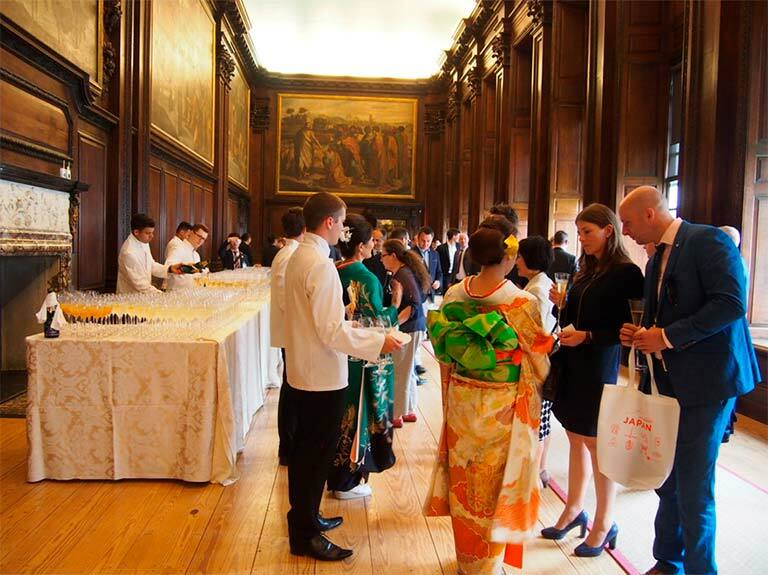 Accompanying the growing popularity of Japanese cuisine (washoku), sake had a great pleasure to enter the quintessential British historic scene at Hampton Court. 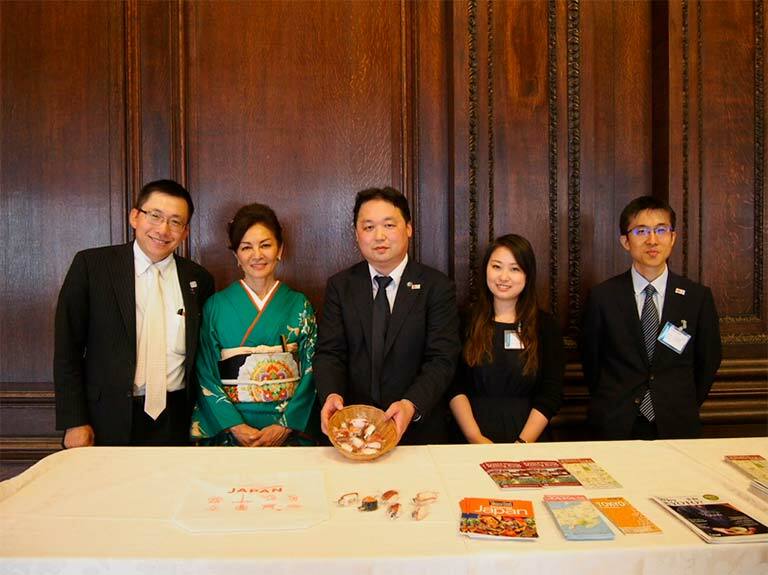 This impressive Japanese food and sake promotion event was hosted by JA Group Kyoto and ZEN-NOH Group, through which, precious ingredients and sake from the Kyoto region were showcased. 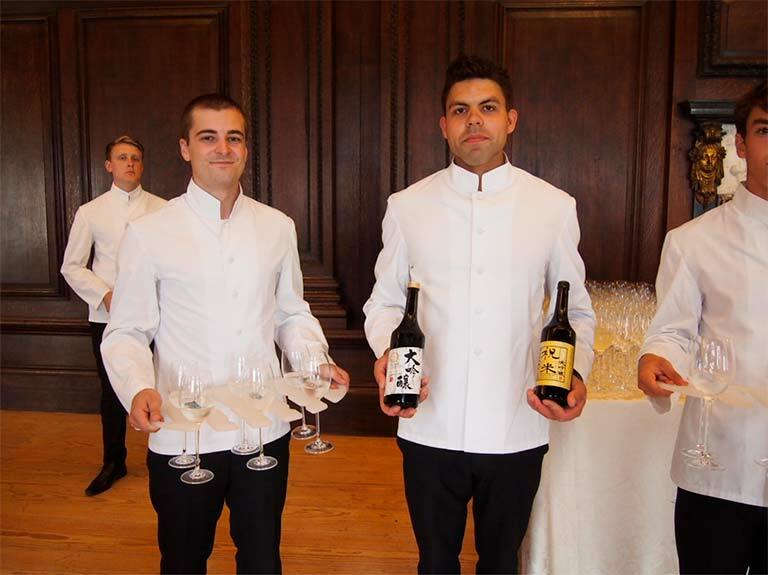 Prior to the grand dinner in a breathtaking chamber, Kyoto’s household name, Gekkeikan’s most prestigious sake welcomed the elegant guests. 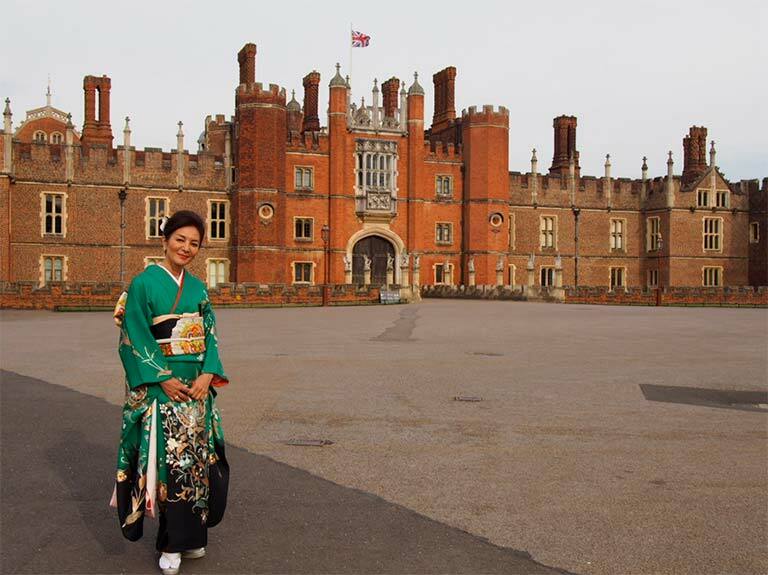 It was an evening when the two most distinguished, yet most distant imperial cultures, were integrated with a style and pride. 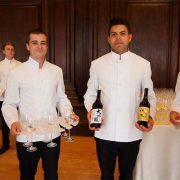 Japan Sake and Shochu Maker’s Association and Sake Samurai were extremely proud to be the part of this special day. 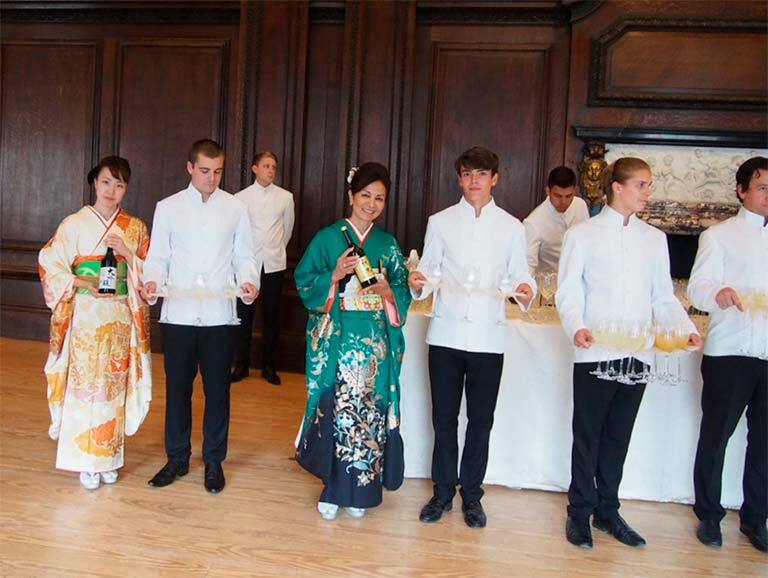 Japanese cuisine is renowned as one of the finest in the world, with sushi representing only the tip of the iceberg. 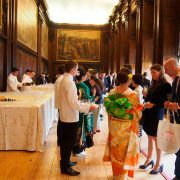 On Tuesday 18th July at the beautiful Hampton Court Palace, celebrity head chef Mr. Yoji Satake of Minokichi in Japan prepared a delicious Japanese feast for 250 guests, including Ambassador Tsuruoka, former minister of Agriculture, Forestry and Fisheries, governmental officials, restaurant owners and members of British Parliament. 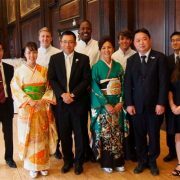 Minokichi is one of the most recognised restaurants in Japan, with a history dating back to 1716. 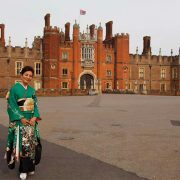 Though based in Japan, Mr Satake travels frequently to hold lectures and demonstrations in New York, Paris, Milan and now the UK. 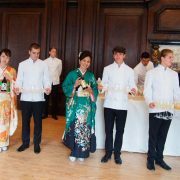 The courses at the banquet were specially created for the event, and every ingredient was directly imported from Japan for the occasion. 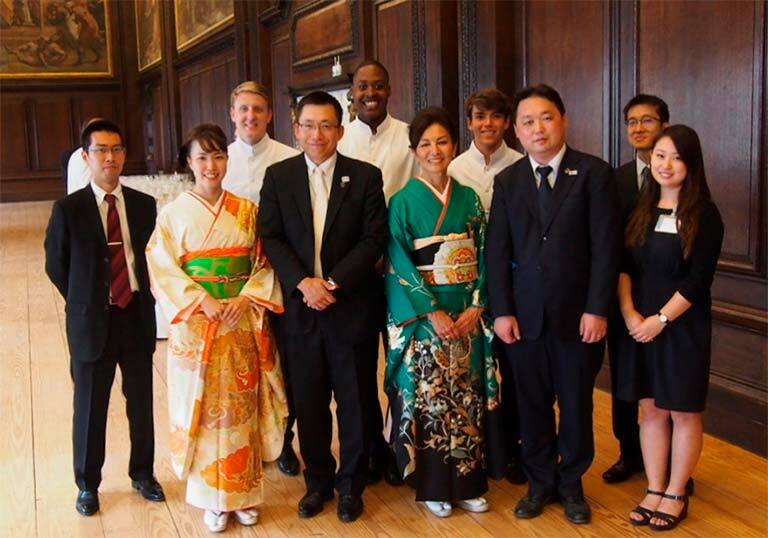 The menu featured Japan’s world famous wagyu beef, and unique vegetables from the ancient capital of Kyoto that are impossible to find in the UK and hard to procure even in Japan.